One year into the creation of the amalgamated Saskatchewan Health Authority, its CEO says it is benefiting from the lessons learned in other provinces to improve its rollout of a single health network. One year into the creation of a single, amalgamated health network, the Saskatchewan Health Authority's CEO says it is benefiting from the lessons learned in other provinces to improve its rollout. "The more time we spend looking into things, the more benefit we see that that provincial lens is providing us to create a system that's ultimately more responsive to the people we serve," Scott Livingstone said Tuesday of the amalgamation, which brought the previous 12 health regions into one network as of Dec. 4, 2017. "Without a doubt, I think it's the right decision." Saskatchewan turned to Alberta and Nova Scotia for guidance on the rollout of a single system. A key piece of advice from those provinces was to avoid eliminating area leadership, Livingstone said at a Tuesday morning news conference in Regina. "They believed they lost touch with their communities and that local service," he said, explaining Saskatchewan has tried to maintain local leadership in northern, urban and rural communities. As of mid-August, the SHA reported paying nearly $5 million in severance for previous health region executives, with 13 people accepting severance packages. Livingstone said those severance costs continue to rise. He noted the health authority aims to hire for a director-level position this month, and will be eliminating further positions after that hire. Up-to-date severance costs were not immediately available from the SHA. "It's been one of the big challenges, but also one of the big pieces of accomplishment, moving through the new organizational structure," he said of the changes. The health authority had set a target of $9.7 million in savings in its first year, not including the one-time severance costs — a target Livingstone said the authority will achieve. Other major challenges facing the health authority include maintenance costs on its buildings. The SHA's last budget indicated it had $3.3 billion in deferred maintenance costs — almost as much as its entire operating budget. The number refers to what it would cost to fully repair all buildings in the SHA system. 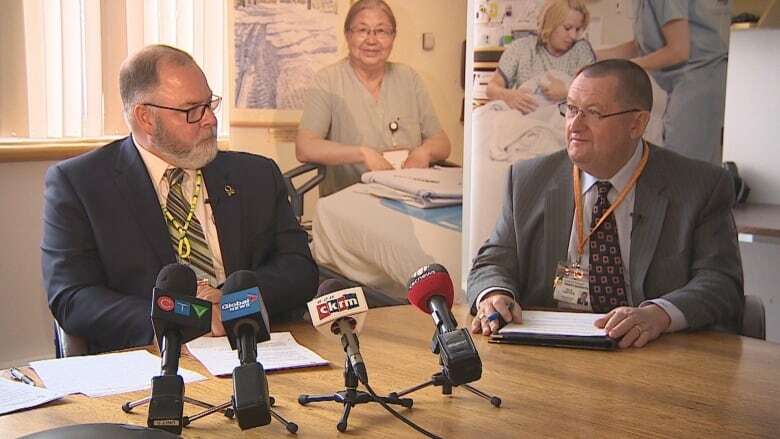 While Livingstone acknowledged that's a challenge, he noted that having a provincewide system allows the health authority to look at its budget as a whole. The SHA can prioritize needs both in and out of urban and regional centres, "to ensure operations are strong across the province," he said. While amalgamation has been smoother for using the experience of other provinces, Livingstone noted that it's a project still in progress — including standardizing policies and standards across the board, for example. "That will be a multi-year piece of work."